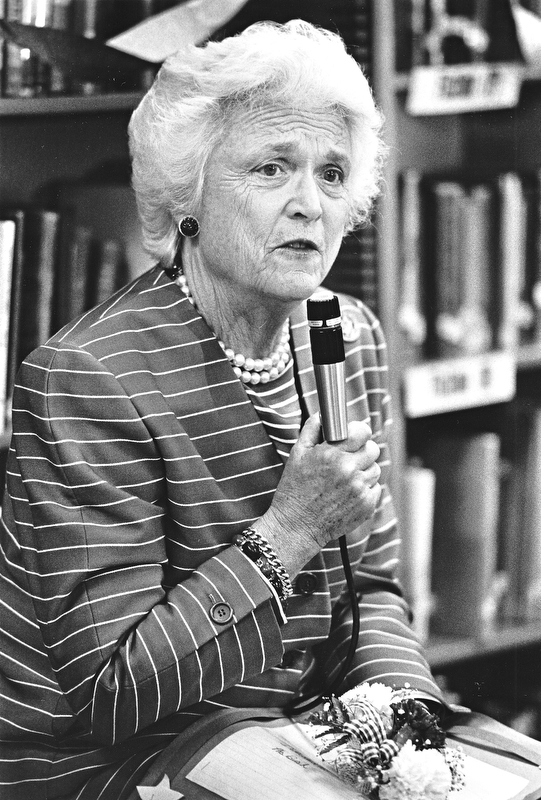 Second Lady of the United States, Barbara Bush, breezed through Youngstown on Thursday, April 21, 1988, stopping briefly to visit a sixth-grade class at West Elementary and officials of the Mahoning Valley Literacy Commission. Photo taken April 21, 1988. Story published April 22, 1988. Photo also published on February 7, 1993. Photo by Choo H. Ng - The Vindicator .